Tibet Telegraph: Centenary of the Simla Agreement: What should we do? Centenary of the Simla Agreement: What should we do? On 8 August 2008, I wrote a brief biography of the 13th Dalai Lama for Library of Tibetan Works and Archives, and mentioned the ideas in this article in the foreword to that book. A copy of the book was sent to the Tibetan Parliament in Exile and to the Honourable Sikyong himself. Acknowledging the importance of these ideas, an official announcement was made to highlight the “Five Decrees of 1913” (called “The Declaration of Tibetan Independence” in recent times) made by the Thirteenth Dalai Lama, which outlined ways to protect the country and promote the welfare of its citizens. This year 2013 marks the 100th anniversary of the Tibet-Mongolia treaty on friendly political and cultural relations of the two states at the level of sovereign countries. And the next year, 2014, is another 100th anniversary: The signing of the historic tripartite — England-Tibet-China — Simla agreement on 3 July 1914. In 1913 and 1914, representatives of Tibet, and of its neighbours India and China, met on equal footing in Simla, where they signed the Simla agreement defining the McMahon Line as the boundary of Tibet and India. This is a simple historical fact. The Sino-Indian Boundary Questions (Enlarged Edition), Foreign Language Press, Peking, 1962. I would like to go into a little more detail about this book, which may by now fall in the “rare” category. It contains key statements made by Beijing at the time, and will indicate their policies as far as border issues are concerned. It contains six valuable maps, and press briefings from China at that time. It vividly depicts the core issues, and where the parties are seeking negotiations and compromises. Portrait of the Dalai Lama, Collins, London, 1946. Political History of Tibet, WD Shakabppa, Yale University Press, 1967. The McMahon Line and After, Parshotam Mehra, Macmillan 1974. India-China boundary problems 1846-1947: History and diplomacy, AG Noorani, Oxford University Press, 2012. The McMahon Line: A study in relations between India, China and Tibet 1904-1914, Alastair Lamb, 1966. Spotlight on Sino-Indian frontiers, Karunakar Gupta, New Book centre 1982. India’s Border Disputes, Anna Orton, Epitom Books, 2010. Paths of Peace, TS Murty, ABS Publishing House, 1983. The Sino-Indian Border in Ladakh, Australia Tibet Council, Asian Publication Series. The above books are good resources for presenting the history of that event. In other works, the Tibetan viewpoint will often be missing or misrepresented because our roles are either neglected or not recorded. I hope India, China, and the Central Tibetan Administration would all take note of this with respect. As everyone is aware, these were significant years. The centenary of this historic event should be commemorated worldwide with utmost importance and reverence. Therefore, I would like to request to all — Tibet, India, and China — that in 2014 the centenary of the signing of the Simla Agreement should be marked with the most memorable events, and that 3 July will be celebrated as Tibet’s Independence Day by our descendants every year for a long time to come. The commemoration should also highlight the current horrific situation for Tibetans within Tibet, and how the 14th Dalai Lama has consistently followed the Middle-Way Approach to resolve the Tibet issue amicably. All this should be planned and well-strategised from now. This is my appeal and my last testament for my dear countrymen. Ngawang Thondup Narkyid was born in Tsethang, Central Tibet, on 17 January 1929. He has pursued advanced studies in Tibetan history, literature, and linguistics, and in Buddhist religion and philosophy, in Tibet, India, and the US. He served in the Lhasa government and was involved in the Tibetan Uprising at Norbulingka on 10 March 1959. 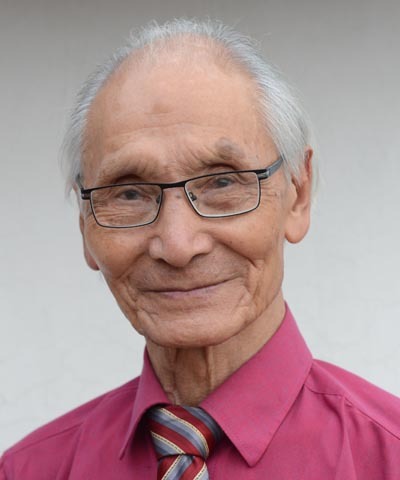 After coming into exile he has held many positions with the Library of Tibetan Works and Archives, Private Office of the Dalai Lama, and Tibetan Government-in-exile, and in later years taught at universities in Japan and the US. He is presently a consultant on Tibetan language and literature at the Private Office of the Dalai Lama.